Architect: Architects, Crang and Boake Inc.
With the successful completion of the Pointe Claire Centre, the developer decided upon a vertical expansion for the Polo Park Shopping Centre, in Winnipeg. Here too, the primary criterion was to keep the centre in operation throughout the construction period, of the vertical expansion. Special designs and procedures were developed to perform the strengthening of the existing structural steel frame, to cause the minimum inconvenience to the merchants. Similarly, extra ordinary designs and techniques were employed to install new caissons, and grade beams, where foundation strengthening was also required. 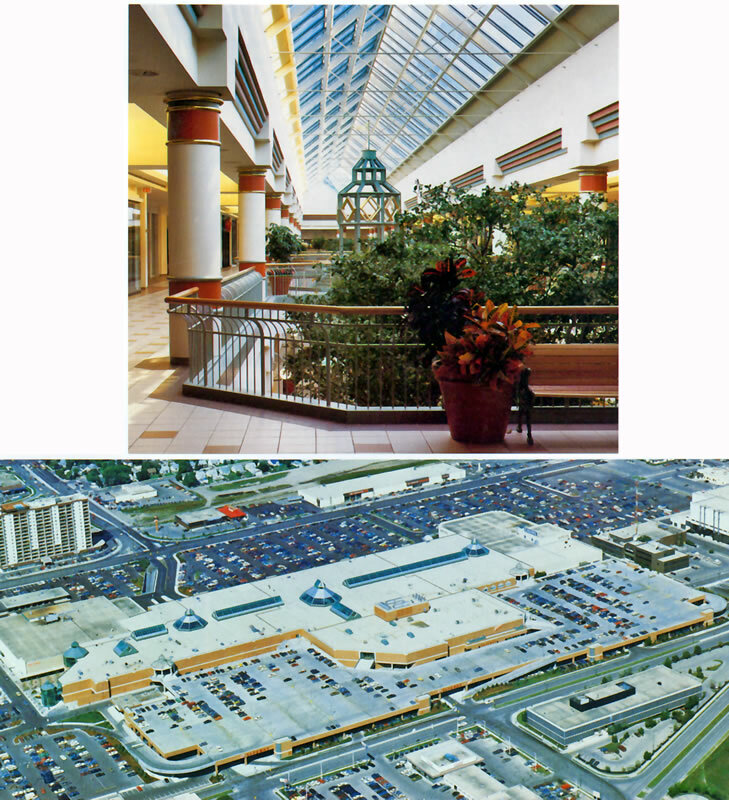 As at Pointe Claire, the second level and new roof framing was erected above the original roof level with most of the construction on the upper level being completed, before the original mall roof was opened to expose the new mall level, and skylights, above. In addition to the vertical expansion of the centre, the project also involved the design and construction of a precast concrete parkade deck, above the existing parking lot required to increase the capacity of the customer parking. This also involved pedestrian bridges to permit customers to enter the upper mall level, directly from the parkade deck.